we’ve now reached the point where year-in-review reports start to pile in. whether in the professional or personal world, everyone has a list of goals they achieved & areas they’d like to improve in. if you’re a major streaming service, then you take note of what your subscribers are watching and how often they do so. well, one Canadian subscriber seems to be quite devoted to Middle-Earth (it’s not me, because anyone who reads this knows i’m in the US…also, i don’t have an account with said streaming service). that’s dedication…and a whole lotta bathroom breaks. when a TV series based on The Exorcist was announced last year, i was initially skeptical…after all, it’s a classic in both print and visual form and with the over-saturation of remakes and reboots infiltrating the entertainment industry, i feared it’s reputation would be slathered in pea soup. but when the pilot episode aired last September, i was pleasantly surprised and drawn in just as i was with the small screen version of Damien. but while the latter was sadly cancelled after one season, the former has been renewed for a second run. the first season’s highlight was the surprise return of Regan (and to a lesser extent, Chris) MacNeil. there are no details yet as to the plot for season 2, but for everyone who was curious as to whether the show would return, it looks like those prayers have been answered. amen! August 1 marked the 35th anniversary of MTV (don’t you feel old just reading that?) and with it came the launch of MTV Classic, which brought back many familiar faces to our screens. the decision to add a new channel came about due in part to this momentous occasion, but also to draw back viewers who might have tuned out when the network shifted its format from music and entertainment to reality television. the wave of nostalgia is setting in not only for MTV, but also for the early days of the Internet (we can thank all the ridiculous memes about dial-up for that)…and there’s no better way to enjoy the two together than this video from 1995 explaining the wonders of the Internet (celebrity cameos included, annoying dial-up tone need not apply)! i don’t watch a lot of TV. in fact, i cancelled cable a few months ago and it was the best decision i ever made. as a substitute, i use Roku. it’s not only more affordable, but it has plenty of variety. 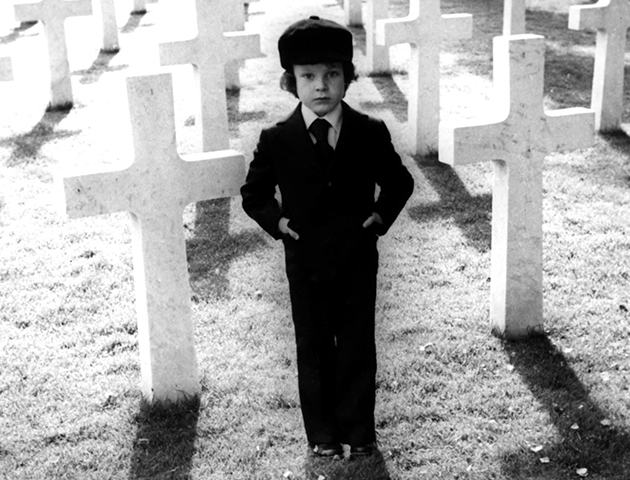 one series that i was very excited about was Damien, who has been an iconic character in the world of cinematic horror for 40 years. in his own spin-off program, the title character is no longer that creepy kid who gave me nightmares. instead, he is 30 years old (and incredibly handsome, might i add) and living in New York where he works as a photographer (because even Satan has to pay the bills). he has no recollection of anything that has happened in life since his 5th birthday…that all changes while he is on assignment in Damascus, Syria. upon returning to New York, nothing is ever the same again. although it was a re-imagining of the character, it was remarkably handled, and presented Damien in a more human light because he is, after all…human. sadly, Damien, it wasn’t all for you, as the series was cancelled after just one season. but perhaps if enough people sign the petition for renewal, he may rise again. PBCore is a metadata schema commonly used for public television, but can apply to any archive that incorporates sound and moving images into its collection. during my final semester of library school*, i gave a PowerPoint presentation on the basics of PBCore, as many of my classmates were unfamiliar with it (and since i work for a media archive, it seemed like a suitable topic). even though it’s widely used for television and film archives, it can be confusing to those outside of the circle. so how can PBCore be made more accessible? this Google doc has a survey that might be able to help. while my organization doesn’t utilize PBCore, it might come in handy for us for future projects. *i received my MLIS in 2013, but in March of this year i enrolled in a well-known ALA-accredited school’s online program and am pursuing a Post-Master’s Certificate in Archival Studies. while i’m balancing the work-school life once again, there is more flexibility this time around and the certificate program takes less time to complete. the learning never stops!